A BulletBobber slip rigged with bobber stop beads is used as depth finder to control the minimum and maximum lure depth. They Snap-On and Pop-Off your line and can be slid up or down the line to adjust depth range. Dimensions: Small 1/8"x5/16" Medium 3/16"x7/16" Large 1/4"x7/8"
How it works as a depth finder? Cast out and watch the bobber stop to see if it moves (slips) all the way to the bobber. If it does, the water is deeper and the bead needs to be slid further up the line. 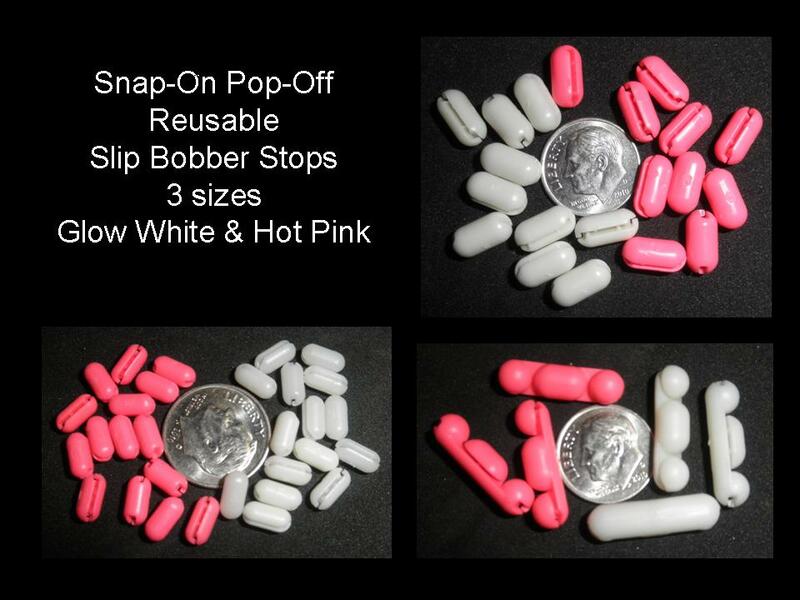 If you see the bead stop 6� short of reaching the bobber you can move it 12� and you will be fishing 6� off the bottom. Using the sideways planing action of BulletBobbers or Prowler Planers you can virtually map out the depth of a large area with just one cast.